When it comes to performance helmets, Specialized is in a class by itself. 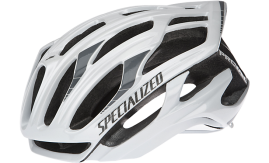 Specialized makes the lightest helmet in existance. They make some of the lightest, best fitting, and most ventilated helmets available. We offer a wide range of Specialized road, mountain bike, recreation, and kids helmets to protect your most impotant asset.